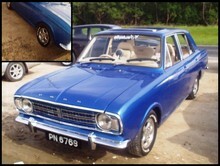 In 1966 Ford launched its new Cortina Mk II. As with the Cortina Mk I (1962-1966) the new Cortina range included standard, Super and GT variants along with a choice of engines and transmission. 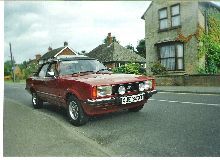 The Cortina Mk II featured a new bodyshell which had angular lines and a full width front grille not dissimilar to that of the Zephyr/Zodiac Mk IV. 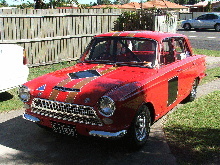 As before the Cortina GT used a mildly tuned 1498cc four cylinder engine and sports trim. The package also included extra instruments and GT badges, a more powerful 1599cc engine was fitted to the GT from 1968. 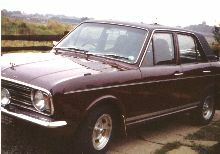 The Cortina Mk II range stayed in production until the "Coke Bottle" Mk III range arrived in 1970.